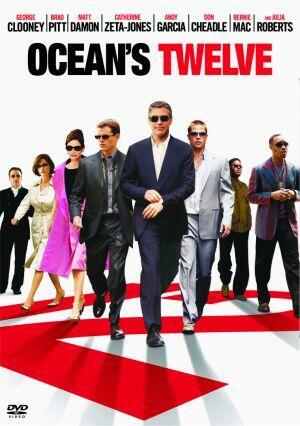 The movie Ocean’s Twelve is the second film in a trilogy about a group of thieves pulling off ridiculous heists. The plot centers around the group – headed by a man named Danny Ocean – after they are discovered by the man that they robbed three years earlier in the first movie. The film unravels as the band attempts to earn, in only two weeks, the $97 million dollars they owe. One scene provokes an interesting commentary on the nature of competition and always trying to be first. Danny Ocean and his team go to great lengths to break into the safe of a wealthy man. But when they find it – they are met with something unexpected. The safe is empty – excluding a single recording device. They press play and listen as the recording announces that they are the second people to have opened the coveted safe that day. Growing up, we were always taught to win. We were taught that if we didn’t win then we needed to train more, to study more, and to try harder so that when the next time comes around, we do win. Because that’s our goal—to be number one! Nobody remembers second place after all, right? Does anyone know whom Abraham Lincoln beat in the presidential election when he was voted president with 1,866,462 votes? Or how about Mary Lou Reton, the first American woman ever to win the Gold Medal in the All-Around in women’s gymnastics at the 1984 Olympic Games in Los Angeles. Does anyone remember the name of the girls she beat? Why is it that we can usually recall who won, but not who lost? Do you think it’s because the first place finishers are so glorified by our world that it makes it easier to remember them? In a world that glorifies the winner’s, Jesus is pretty counter-culture. Can you think of a time in your life when you did something great during a competition and were recognized or you won first place? What did you do or win? How did that make you feel? Can you think of a time in your life when you really wanted to do something great or you were in a competition and either you failed or you didn’t win? How did that make you feel? What were the disciples arguing about on the road? Jesus settles their argument once and for all, what is His answer? Name some examples of how not “finishing first” and being “last” can be rewarding here on earth. Giving up on finishing first and choosing to become the “servant of all” as Jesus suggests, most likely won’t bring us the fame and the glory that the world sheds on those who finish first. However it will bring a feeling far greater than anything the world could offer us. How did/does it make you feel to serve someone else? How can you become “last” and serve someone else this week? It’s easy to get caught up in the world’s “finish first” mindset and lose track of what God is calling us to do, but finishing first isn’t necessarily God’s plan for our life. God wants us to be willing to be the servant of all, getting down and dirty and doing whatever it is that He calls us to do. Commit to serving others this week, by yourself or with your small group, it doesn’t matter. All that matters is that you are serving someone because it’s what Jesus told us to do.